Thirteen people who weren’t nearly as depressed as the rest of us when the summer officially extinguished at Croke Park on Sunday evening were the members of the successful ‘Forward Emphasis’ lotto winning syndicate. Dull and dreary for us despite the September sunshine, Monday morning must have tasted pretty damn sweet to them – all workers at the Malin Head based call centre. And whilst I’m inclined to strongly begrudge them all their €375,000 shares [since they are the latest in a long line of recipients at my expense! ], I must confess that I was delighted to see so many young local winners. Judging by the smiling fresh faces in the papers this week, the average age of the lucky baker’s dozen is younger than thirty, which makes a pleasant change from the endless troupe of elderly winners on RTE lotto gameshow ‘Winning Streak’. Good also to see a couple of Moville winners among the triumphant thirteen, including one in the same housing estate as me [again, for the record, I bear no begrudgery, ill-will or downright jealousness despite my relative poverty]. I’m reliably informed that Jimmy Bradley, who bought the €4,871,046 winning ticket in Cullen’s, Cockhill, has now switched his favourite tipple from Blue WKD to Dom Perignon vintage champagne, which he is ordering into the Cruiskeen by the crate-load at more than €500 per bottle! Ah, how the other half lives. 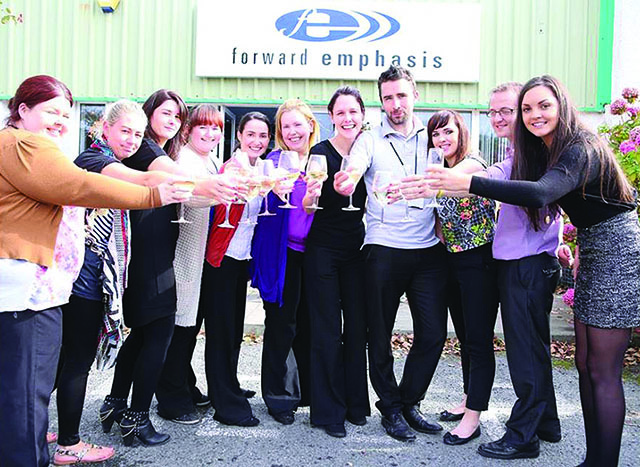 On a sadder note, I feel for the woman who left ‘Forward Emphasis’ and its successful syndicate a few weeks ago. She must be kicking herself – both literally and metaphorically. I wonder if she will pocket a few euro of the giant sum in the end though? Spare a thought also for the workers who didn’t share in the mammoth jackpot. Apparently there exists a not-so-lucky rival syndicate at the company, which looks certain to be advertising for some new positions in the very near future. Driverless cars could be safer! The FBI in America has warned that new driverless cars could become lethal weapons. Currently Google has created a prototype of the self-driving vehicle, which could revolutionise the roads using sophisticated radar and GPS technology. On the face of it cars without drivers at the wheel sounds highly aspirational at best and complete madness at worst. But, after some of the driving I witnessed on the way back from the match in Dublin last Sunday night, I wouldn’t be so sure! Ask yourself one question: which car would you rather meet on a dangerous bend on a dark wet night in Inishowen – one driven by Google or one driven by an adrenaline fuelled 17-year-old car fanatic? I think I’d take my chances with the computer! U2 caused something of an online furore after giving away their new album, ‘Songs of Innocence’ for free to millions of iTunes users earlier this month. Thousands of people vented on social media [imagine that, people taking to the Internet to complain] saying they did not want the album, which automatically entered the iTunes libraries of users in 119 countries across the world. Such was the pressure, Apple was forced into the creation of a way for users to delete the songs. Complaining about a free album? Are these the same web moaners who complained about the sound of Ryanair’s trumpet jingle to herald the early arrival of a flight [something I never take for granted]? It seems some people will go out of their way to be offended, particularly on increasingly nasty social media [sic] sites. After so many austerity Budgets that I have lost count [I think it’s around seven or eight in-a-row now], I found it heartening to read in the Irish Times this week that the government is considering cutting income tax in the next Budget. Apparently Minister Noonan is looking to reduce the flat rate as well as raising the amount that a worker can earn before entering the higher rate of tax. Though I’ll believe it when I see it – which will hopefully be in my wages in four months time. A worrying rise in Ireland’s murder rate emphasises how violent this country has become in recent years. The latest figures have revealed that 60 people were murdered in the twelve-month period up to June 2014, an increase of more than a third from the same period last year. Now occurring at a rate of more than one a week, murders are no longer the shocking lead items in the news that they used to be. As recently as the 1990s the annual Irish murder rate tended to run in the 20s with almost all such crimes sending genuine shockwaves across the nation. In 2014 however, images of State pathologists and white Garda forensics mopping up after gun crimes, most of them in Dublin, are often relegated to footnotes in the news as we become anaesthetised to the killing. RTE gangland television show, ‘Love/Hate’ is back on our screens in early October for a fifth and most likely final series. Sadly, the violent reality it mirrors appears here to stay for much longer. Make sure to buy this weeks Inishowen Independent to find out what ‘Barrtalk’ has to say this week!